At the same time that Jupiter's last weekend in your career sector for another 11 years makes it essential to keep your professional hat on, especially as he's surrounded by support, there are also cracks starting to appear in the stranglehold this has had on you. While there is no danger that you'll lose your professional edge anytime soon, not with Mars returning today to fire up your professional passions and fighting spirit, your social life and matters is starting to also need some attention. 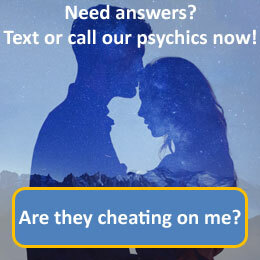 Call 09069 669 608 for a more detailed reading with our psychics today. Scorpio, the scorpion, is the eighth astrological sign in the Zodiac, originating from the constellation of Scorpius. Scorpio is considered a water sign, and is one of four fixed signs. Like the rest of the watery signs, Scorpio is considered a "negative", feminine sign, which in Astrology means it is rather introvert. Traditionally, the planet Mars has been considered to be the ruler of Scorpio, and since its discovery, Pluto has been considered a modern ruler of this sign. Scorpio traits and characteristics include piercing eyes, sexual magnetism, being secretive, forceful, and exciting. You probably take good care of your body, or at least talk about doing so. Scorpios are powerful, sexual, intense and loyal. They can also be withdrawn, brooding and deeply resentful.